The other day I was trying to convince my parents I could live in a fifth wheel. To prove my point, I did some research to find out if this was even a possibility. Can a fifth wheel be considered a second home? 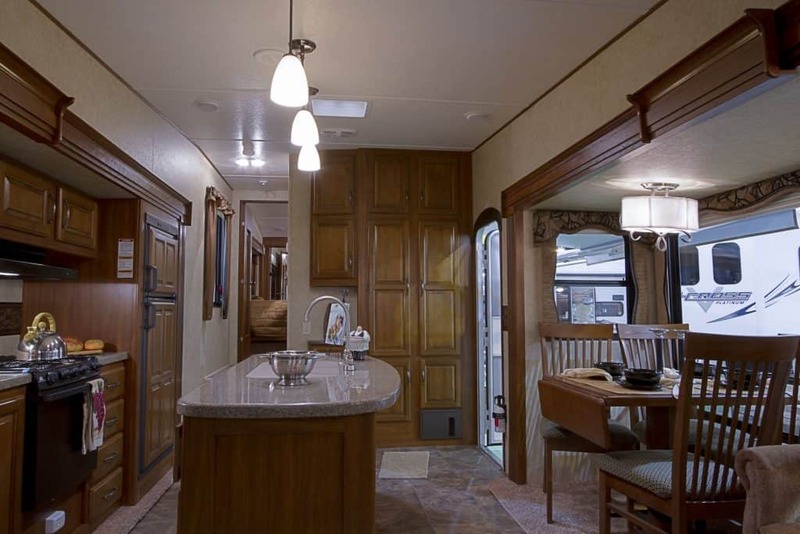 To be considered a second home the fifth wheel must meet the IRS definition of a home. Meaning, your fifth wheel must have everything from sleeping to cooking and even a toilet area. These facilities do not even need to be in separate areas they could be in the same room but you must have all three. Many people confuse the fifth wheel with a tiny house. However, there are many differences and benefits for both. If you’d like to learn more please continue reading. When I first heard that a fifth wheel could be considered a second home I immediately thought about tiny homes. What would be the difference? How would I decide? What are the benefits and disadvantages to each? What I found was that their are three main things to consider when choosing to buy between the two. These three things include budget, mobility, and weather. Fifth wheels are a lot cheaper than a tiny home because in a tiny home there are a lot of parts to be put in and a lot of work to be done. Whereas, when buying a fifth wheel, all of the work has already been done and once you buy it, it is all yours. You just have to keep up the maintenance and licensing. Often times, fifth wheels are not made in countries such as China. They are made in the United States so their parts can also be found in the U.S. This will allow the trailer itself along with the parts to be cheaper and more cost effective because the profits will go back into the American economy and won’t have any tariffs coming in against the product. Fifth wheels are also a lot more mobile than a tiny home. There are many reasons behind this. One is that there are many more materials being used in tiny homes to help with weather and such. Though tiny homes are on wheels they overall are very difficult to move and a lot heavier of an object for your vehicle to tow. This can be a good thing or a bad thing. In very windy cities or even hauling a fifth wheel up a mountain it is more likely to be blown by the wind. This can be compared to a car driving on the road and a gust of wind hits it. The car is obviously going to be more affected because it is lighter and can be pushed around by the wind more than say a large truck. The last thing to think about is the weather. If you plan to live in either a tiny home or a fifth wheel for longer than a few days you may feel concerned about the weather. A fifth wheel is made up of thick plastic just like any other vehicle. A tiny home has more insulation because they are truly made for people to stay in for long amounts of time; whereas, fifth wheels are made by the distributor with the thought process that the buyer will be taking the vehicle on camping trips or short fishing trips that will last no more than two weeks. When most people hear about a vehicle or trailer called a fifth wheel they automatically assume that said trailer has five wheels. However, this is not the case. The reason it is called a fifth wheel is that there is a hitch that will hook on to a truck or other SUV. These are obviously big trailers and one would not want to use a four-door car to haul it. Some examples of vehicles suitable to haul a fifth wheel may include suburbans or trucks. The set up of a fifth wheel looks almost like a large pentagon on the bottom. With four wheels making up the square, the hitch will be the front or top of the pentagon. Typically a fifth wheel can sleep around six people being a smaller version of an RV. It will not have the “master bedroom” but it will typically have a table that folds into a bed, a couch that folds into a bed, a bed near the back that is still in the space as all the other beds and there will often be a bed that drops down from the ceiling. All of these beds that fold allow for the best amount of space. It will allow for families to sit and enjoy a movie on the couch or play a game of cards on the table after eating dinner, or even leave enough space for a sink and occasionally other amenities. You will typically see a bathroom with a shower at one of the ends in the trailer. Obviously the more money you save and spend on your fifth wheel the more amenities you will receive with your fifth wheel. This may include that you get a big flat screen mounted on a wall or you get a microwave inside. I have even seen fifth wheels that have nicer showers than my own home does. 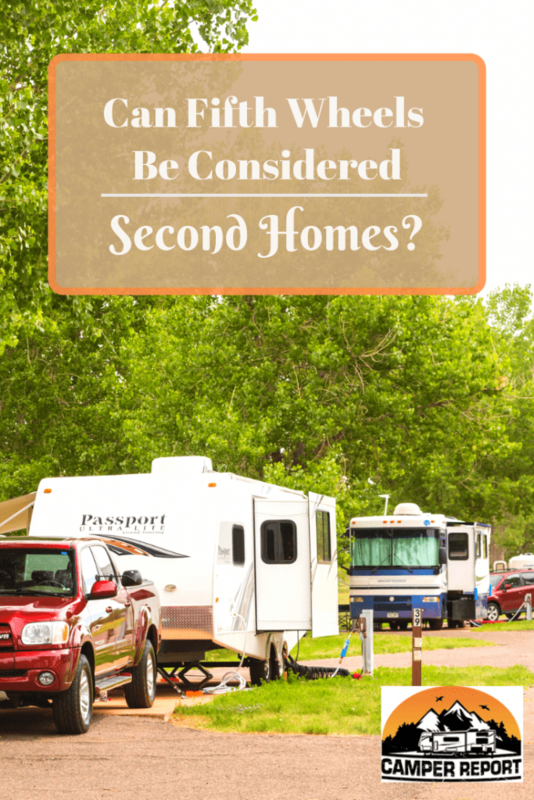 Even though fifth wheels are definitely the cheaper way to go when purchasing a “second home,” a lot of people still have to take out loans in order to make the purchase. That is why it is such a necessity to get the biggest bang for your buck as you try to save money in any way shape or form. I know that some may hope that since there’s a possibility to get a tax write off on the fifth wheel there may be a possibility to get a tax write off on the vehicle towing the trailer. However, this is not so. The vehicle towing the fifth wheel will not benefit from any tax write offs. Be sure to consult an accountant or read your state’s policies before assuming you will automatically get any tax returns as each state’s definition of homes and sales tax may differ. 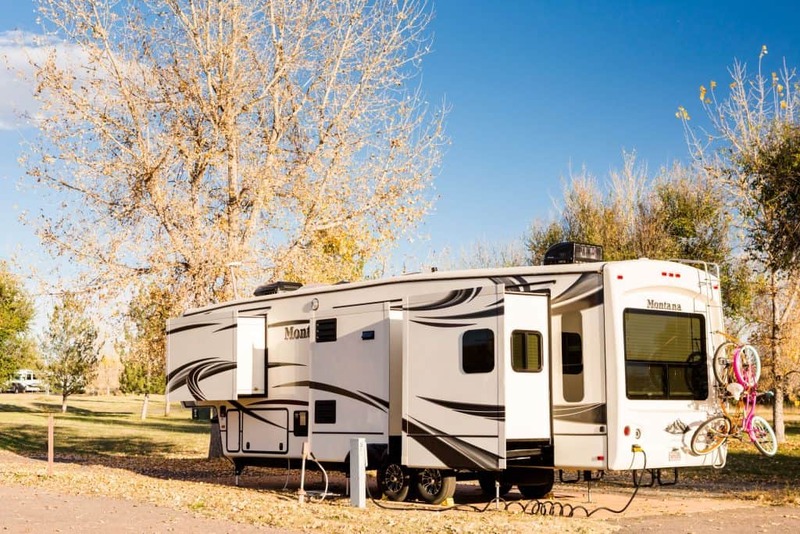 Even if you choose not to use your fifth wheel as a place for you to live fulltime you could also choose to rent it out on websites such as RVshare. This will include you now using your fifth wheel for a business purpose which could allow you to use your fifth wheel now as a business write off. If your company sends you on trips but doesn’t pay for your hotel and airfare you could choose to take your fifth wheel and use that as a business write off as well. The biggest catch is that you can not stay in the fifth wheel for longer than thirty days. Be aware that when using your fifth wheel for business write-offs you also must make sure that over 50% of your stays in the fifth wheel are business related. if this is not the case then you can not use it in your tax write off. There are so many options to use your fifth wheel for. Most people would count out renting it to other people but there are many advantages to doing this. It could bring in more of an income for you and you could get the tax write off. It also could be a better option for renting compared to renting a home to someone. Do fifth wheels sway? Fifth wheels do sway when blown by fierce winds. Fifth wheels are made of the same material as cars so just like a car is blown by the wind so are fifth wheels. If you are concerned about how much it will sway try to drive slower and the wind will not affect the trailer as much. Why is it called a fifth wheel? A fifth wheel is called that because it has four wheels and a trailer hitch. Due to the stability, the car provides to the hitch, it is almost like having an extra wheel. Oftentimes campers will put a piece of wood under the hitch to make it stand still while parked.